Doctors warn parents that choosing not to vaccinate their children leaves them vulnerable to serious illnesses. “Immunizations are not dangerous, but it is always important to discuss any medical conditions you may have with your physician,” said Dr. Shannon Garton, Family Medicine Physician at Kaiser Permanente’s Edwards Medical Offices. Vaccines help develop immunity by imitating infection, causing the immune system to develop the same response to a real infection so the body can fight the disease in the future, according to the Centers for Disease Control and Prevention. Choosing to not vaccinate has much larger health implications on the national and global population. The percentage of people who will suffer a complication from a vaccination is far fewer than the percentage of people who would suffer a complication if they contracted the illness itself,” Garton said. As for concerns that vaccines cause autism, Garton said the original study that made this association has been redacted and it has been well researched in the years that followed. “Many separate researchers in many different countries have come to the conclusion that there is no association between autism and vaccinating children,” she said. Vaccination scheduling is important because it can be a hassle to have to play catch-up, Garton said. 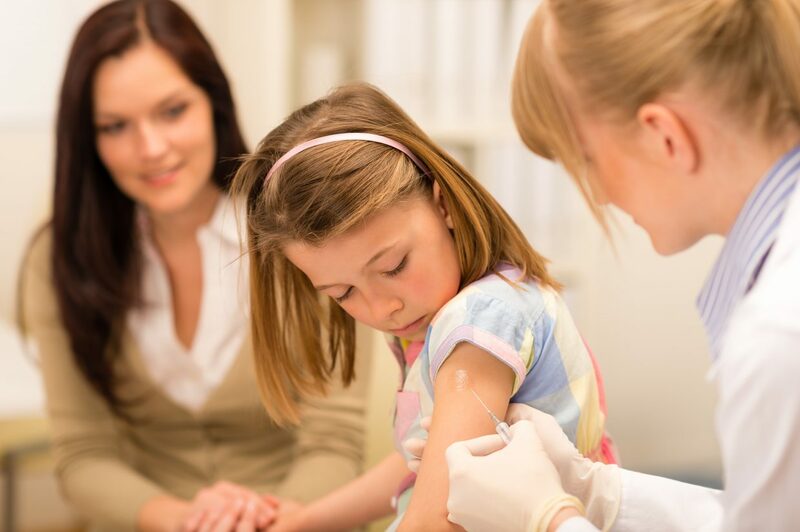 As children get older, there may be a wider window of when a vaccination is due, but Garton recommends getting them done in the fall when flu shots are also available. In addition to vaccinating, Garton said children should try to stay healthy during the school year by washing their hands frequently and not sharing drinks or food. If a child shows symptoms of illness, parents should keep them home from school to protect other children.